Here, allow us to take care of all the details for you while you take care of business. 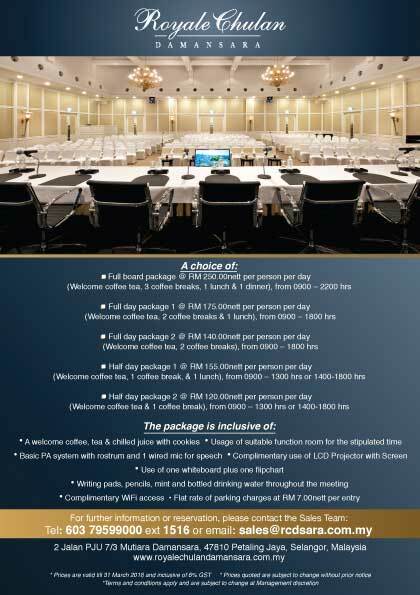 From top-level meetings to private events or professional conferences, Royale Chulan Damansara Hotel provides 12 state-of-the-art function rooms with 2 spectacular ballrooms that can accommodate up to 1, 200 guests. Wireless Internet access at our hotel in Selangor is complimentary in all meeting rooms. Our Executive Business Centre offers a wide range of professional communication and secretarial services. 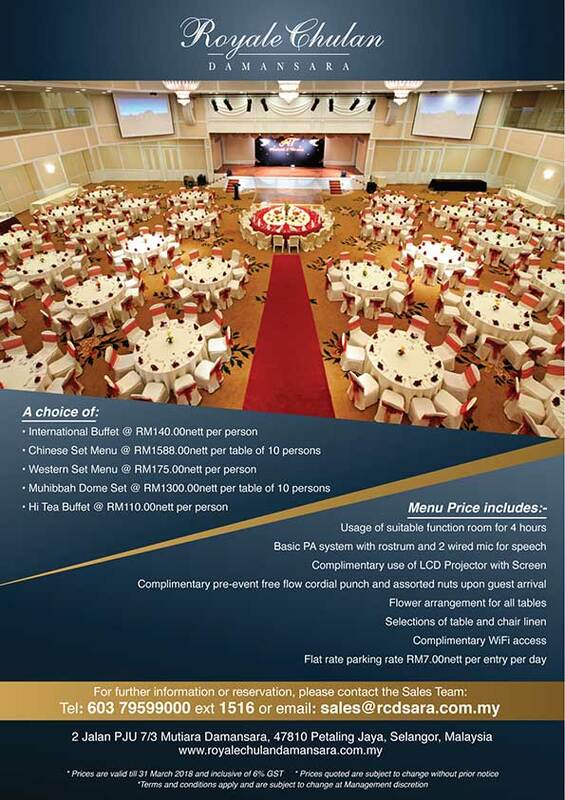 Should you have questions about our event rates, contact Royale Chulan Damansara Hotel by sending an Email at enquiry@rcdsara.com.my.